New from Ambrosia Cottage are Colorspills! 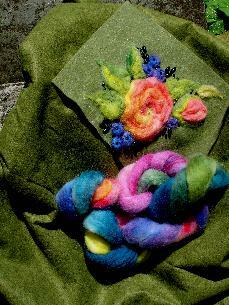 Hand-dyed roving especially for felting purposes. Lisa dyes Corriedale in two shades or Merino and Silk for exciting effects in felting. More information will soon be available along with product offerings and suggestions.